Include hobbies and leisure activities in your retirement budget. 3. What Do Really Smart People Do to Make a Nest Egg? Every retiree wants to be certain that his retirement funds outlast him. This means managing such variables as the amount of retirement savings, how the money is invested, when the retiree makes withdrawals and how much he withdraws. Knowing the monthly income needed to retire is an important factor in the equation. The first step in calculating the amount of monthly income you need to retire is to calculate your monthly pre-retirement expenses. Going through your check register, bank statements or online banking summary can make this step easier. Include housing, utilities, taxes, savings, food, insurance, automobile expenses, tuition, entertainment, hobbies, travel and any other expenses you currently pay. For irregular expenses such as co-pays for medical appointments and home maintenance, add each payment you make to get a yearly total, and divide the total by 12 to arrive at your monthly expense. Your monthly expenses after you retire differ from your pre-retirement expenses. For example, as a retiree, you may have paid off your mortgage, reducing your housing expense. Similarly, as your children reach adulthood, your expenses for their support and college tuition go away. You might downsize your automobile fleet from two cars to one, reducing your expenses for car payments, insurance, gasoline and maintenance costs. You can also reduce or eliminate your retirement savings expense. Conversely, some of your expenses will increase as you pay health insurance premiums that your employer may have covered. If you plan to move to another community or to a smaller home when you retire, adjust your expenses accordingly. To figure out how much monthly income you need to retire, add up your annual post-retirement expenses. Separate your "needs" -- the expenses you are absolutely required to pay -- from your "wants," or your discretionary expenses. For example, housing, utilities, groceries, taxes and insurance are needs, while restaurant meals, entertainment, travel and hobbies are discretionary expenses. There will be periods during your retirement when your investments grow slowly or lose money. You can by help ensure that your retirement income meets your needs by cutting back on your "wants" during these market downturns. An ongoing debate among financial planners revolves around whether you should base the retirement income you need on a percentage of your pre-retirement income or your pre-retirement expenses. In a February 2013 "Time" magazine article discussing the issue, several mutual fund companies recommended retirees save eight to 12 times their annual working income with a goal of generating 85 percent of their pre-retirement income during retirement. In the same article, the president of the Employee Benefit Research Institute recommended multiplying annual retirement expenses by 33 and saving that amount. 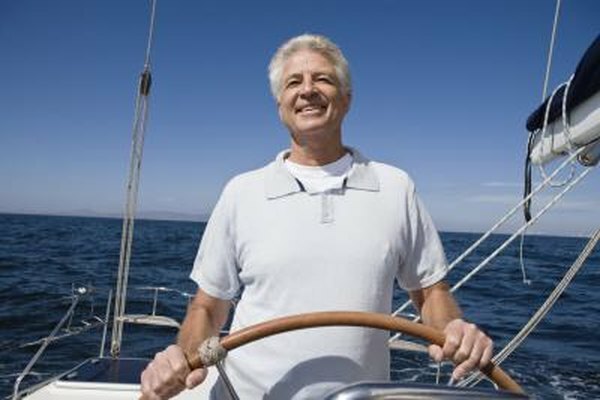 The article concludes that an individual who spends less than he earns pre-retirement won't need to save as much. You can estimate whether your income after you retire will be adequate to fund your retirement. When you make this analysis, consider all sources of income, such as pensions, annuities, Social Security, investments and withdrawals from retirement accounts. Some financial planners recommend that you plan on withdrawing up to 4 to 5 percent every year from your retirement accounts to ensure that you don't withdraw too much principal from investment funds. Some retirees continue working part time after they retire so they can supplement their income or save for travel or special purchases. Hutchinson Financial: What Is a Safe Withdrawal Rate from Retirement Accounts? Time: Sizing Up the Big Question: How Much Money Do You Need To Retire?